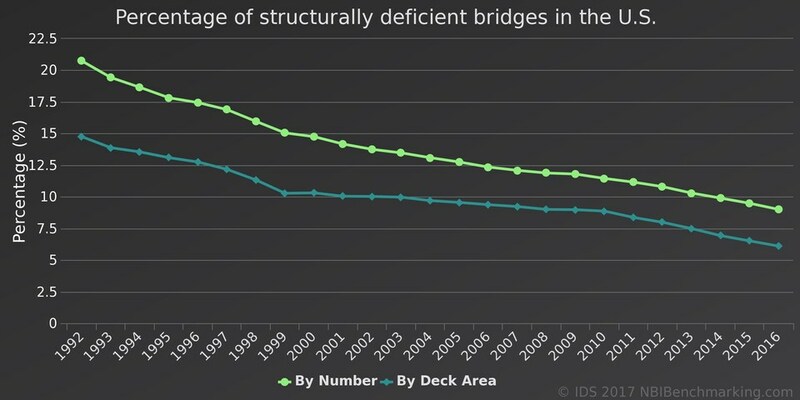 Sustained funding and improved practices over the past 25 years have led to a steady improvement of the condition of U.S. bridges. 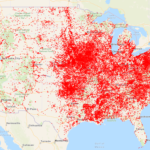 The latest National Bridge Inventory (NBI) data released by the U.S. Federal Highway Administration reveals a remarkable decline of structurally deficient bridges to 55,309 (9% of nationwide inventory) in 2016 from 118,757 (21% of the inventory) back in 1992. Since last year alone, the number of deficient bridges dropped by 2,735. 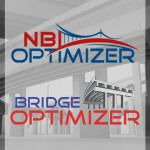 However, the number of functionally obsolete bridges nationwide has dropped slightly from 80,461 in 1992 to 75,703 bridges in 2016. Between 1992 and 2016, the number of structurally deficient bridges has been on a downtrend in most states. New York has seen the largest reduction from 9,884 (57% of the state inventory) to just 1,885 (11%). Other significant reductions were in Missouri (27%), Mississippi (21%), and Oklahoma (20%). 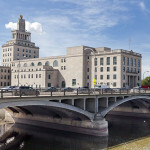 The five states with the highest number of structurally deficient bridges in 2016 are Iowa (4,931), Pennsylvania (4,410), Oklahoma (3,414), Missouri (3,147), and Nebraska (2,326). 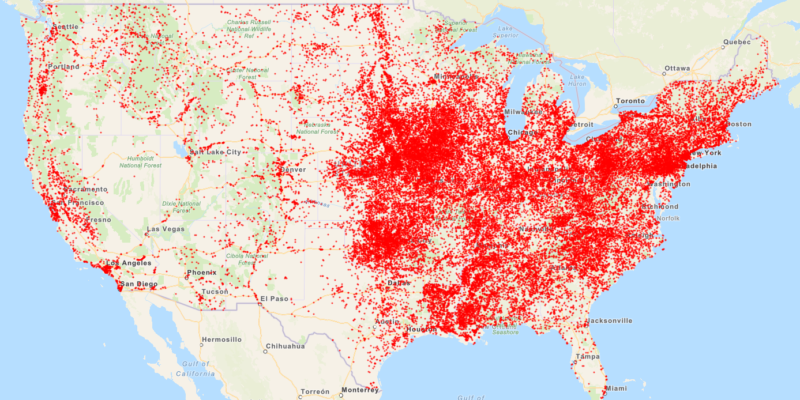 California continues to have the highest total deck area of deficient bridges, followed by Louisiana, New York, Illinois, and Pennsylvania. “Despite overall condition improvements over the past 25 years, big challenges lie ahead,” says Infrastructure Data Solutions, Inc. (IDS) President Dr. Mahmoud Halfawy. Approximately 1 in 5 bridges in the U.S. is in need of some improvement. 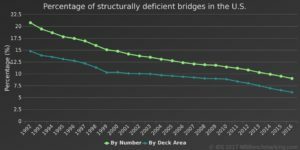 The analysis undertaken using NBI Benchmarking™ software also reveals that the total deck area of bridges built in the 1960s and 1970s represents almost 35% of the total deck area of nationwide inventory. Many of these bridges will soon be due for major rehabilitation or replacement.